Pairing Pura Botanica’s Lend a Hand All Natural Hand Cream Smoother with the National Save The Sea Turtle Foundation came, well, naturally. A drawing of a sea turtle hatchling walking across the sand graces the tube of the hand cream, made of African shea butter and natural vanilla. A portion of proceeds from sales of the product benefits the National Save The Sea Turtle Foundation. 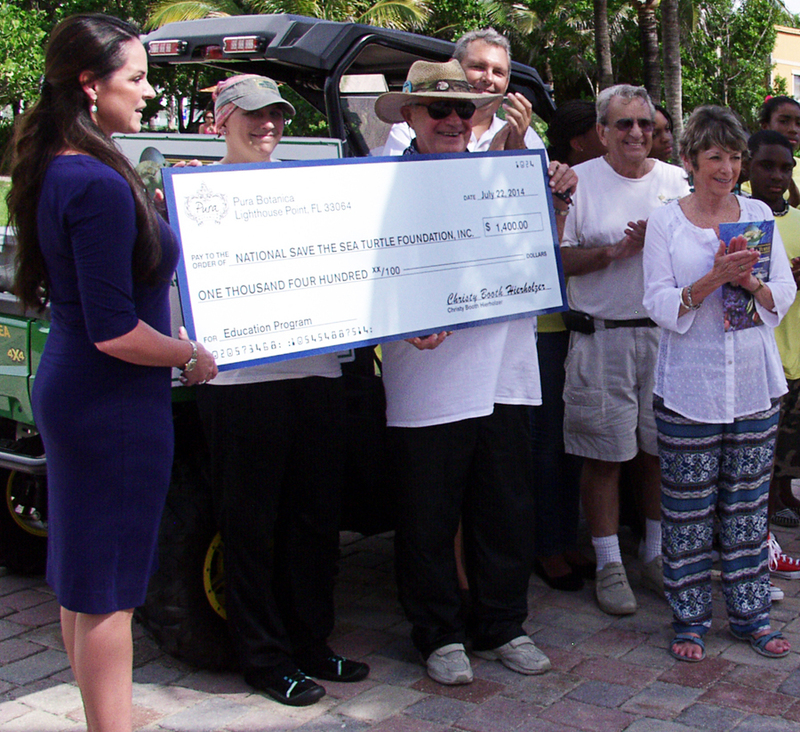 On July 22, 2014, at El Prado Park in Lauderdale by the Sea, Pura Botanica President Christy Booth Hierholzer presented a check for $1,400 to Frank Wojcik, the Foundation’s Executive Director, for its sea turtle preservation and education efforts. Accompanying Ms. Hierholzer were members of the Thomas D. Stephanis Boys & Girls Club of Pompano Beach, one of 12 Broward County Boys & Girls Clubs in whose names Pura Botanica is donating sea turtle nests this year. 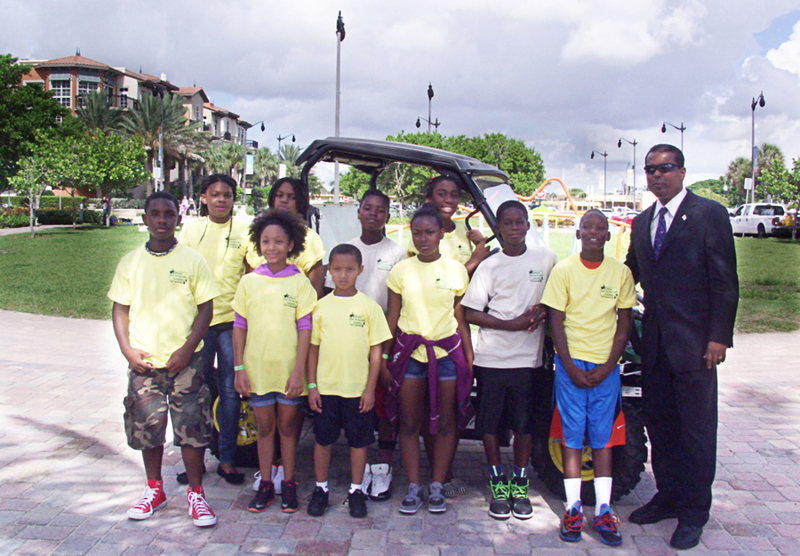 The children were chaperoned to the presentation by Di Maharaj, Director of Club Operations for the Broward County Boys & Girls Clubs, and Christopher Cleveland, Health and Physical Education Coordinator for the Thomas D. Stephanis unit. Pura Botanica, based in Lighthouse Point, produces luxurious bath and body products and elegant, cruelty-free travel accessories. The company first teamed up with the National Save The Sea Turtle Foundation five years ago, offering to devote some of its marketing efforts and sales proceeds to help the Foundation’s mission, Ms. Hierholzer said. 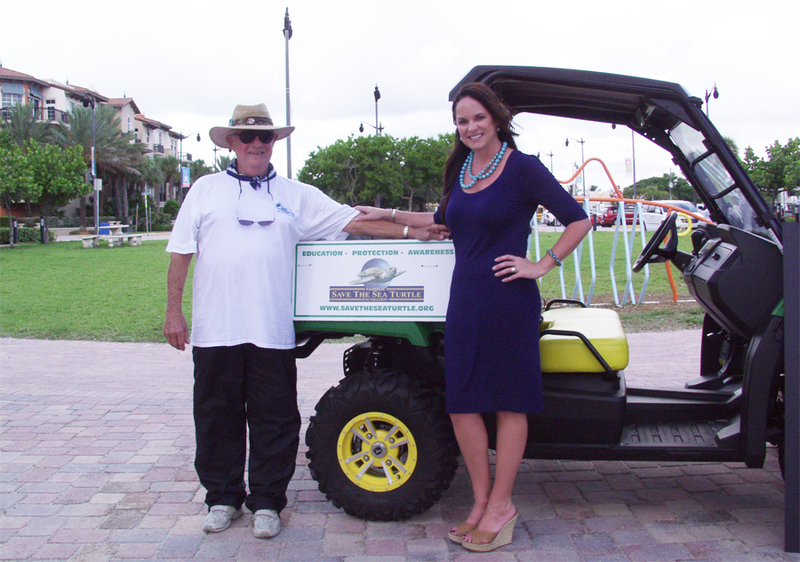 The company recently adopted two loggerheads, Pedersen and Atwell, through the Loggerhead Marinelife Center, a Juno Beach research facility that received $22,500 from the National Save The Sea Turtle Foundation in June 2012. After the presentation at El Prado Park, Connie Versteeg, the Foundation’s marine biologist, accompanied the children to a protected nest on the beach and explained how mother sea turtles lay their eggs, how they bury them in the sand to protect them from predators, how long eggs take to hatch, and why nests are cordoned off from beach visitors.